Established in 1970, the Open Air Museum Stuebing displays 97 reconstructed historic wooden peasant houses that are mainly used to be in the Alpine Provinces. They are lined from the west to the east according to the actual geography of Austria. A house often consists of living space for both human and livestock, with various styles and roofs made of thatches or shingles. There are various kinds of wooden houses, as different designs are made to fit local geological characteristics. Prehistoric hunting huts made with local tree bark accompanied by ancient coal-making facility can also be spotted in the museum. It is a short documentary that depicts the utilization of palm trees in Oman. This video shows the importance of palm tree for people in the past and in the future. San Miniato al Monte is a basilica located in Florence, Italy. The basilica is situated atop one of the highest points in the city, and characterized and constructed in the classic Tuscan Romanesque architectural style. The wooden roof truss is painted with bountiful colors and decorated with adornments, and there’s an uncommon walkway built within the roof truss for people to decorate the roof truss. In addition, the wooden music stand for the choir was exquisitely made in approximately 1420. Abyaneh is a small mountain village, located 55km to the north of Kashan. Its unique geographical traits have enabled the locals' culture, customs, clothing and language to be better preserved. The his and hers door knockers on the wooden doors can also be found in the village. Men and women use different knockers, which make different sounds, in order to remind the house owner which gender should be answering this visit. Zaanse Schans is one major attraction of Netherlands, where is famous by its well-preserved historic windmills. Within here, the combination from colors, nature, and culture is vivid reflection of people's imagination about Dutch lifestyle. And these windmills provides not only touristic value but also multi traditional products. Even more, if we date back to 16th century, windmills actually helped Dutch built Holland! Adobe is also known as the southwest style of house in the U.S.. The houses are made of clay and vigas and latilla, which are usually made of spruce and aspen. Dan and Della Barrone, who run the Olguin’s Sawmill that provides timber for daily usage to the locals, have been in the trade for 28 years. In the video, they talk about the southwest house style, their sawmill, and why they operate their business in a sustainable way. Kyoto, a city in central Honshu Island in Japan, had been the capital for Japanese emperors for centuries. Here, you can find abundant traditional craftsmanship and wooden architectures that embody the culture of ancient Japan. Many traditional wooden constructions are still well-preserved in Kyoto. 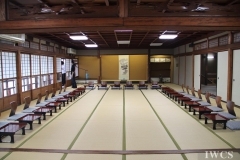 For example, Ryokan-Tsukimikan, the historical hot spring hotel established in the vicinity of Ujigawa, Kyoto in 1937, features Momoyama hot springs, ancient Japanese style design and delicate wooden furniture. (Mandarin subtitle video: http://iwcs.com/archive-single-page.cfm?id=77) The architect Yoshiaki Nakamura is a master of Sukiya-zukuri, a traditional wooden architecture style incorporating tea house aesthetics with natural materials. Also, he blends in foreign elements in the hope to explore more possibilities for the traditional Japanese architecture. The house of Rieck, built in the 16th century, was restored in 1949 and handed over to the Altona Museum as a branch open air museum. The house reconstructs an image of the life of a rich peasant family back in time. Because of its large amount of wooden structure, furniture, and objects, it was subject to woodworms’ attack and was taken care of by scientists of related profession at the Johann Heinrich von Thunen-Institute (vTI) several years ago. The name Salzkammergut, meaning “Salt Chamber" in German, was derived from the Imperial Salt Chamber, the authority that ran the salt mines during the Habsburg Empire. The salt mine, located at Hallstatt, dates back 7000 years. There are many wooden relics left in it by the miners back in time. It has therefore been an important excavation for the archeological projects conducted by the Naturhistorisches Museum at Vienna. In addition to wooden digging and collecting tools, there is a world-famous Bronze-Age wooden staircase lying deep in the mine. The staircase was used by the miners to transport goods in the mine. Also in the region is the Anzenau Mill Museum, the first building in the town of Bad Goisern. Originally a farmhouse when it was built in the 14th century, a watermill was added to it to saw wood and make bread in the 18th century. Up until now, tasty bread is still being made and sold in the house. In 2005, the building was transformed into a museum to display the traditional lifestyle of the residents. The Hohenloher Freilandmuseum is located in the village of Wackershofen. This fantastic open air museum, which has collected hundreds of ancient, reconstructed rural wooden buildings from around the Badem-Wurttemberg region, serves as a popular educational and tourist destination for visitors to learn about peasant life in the past. 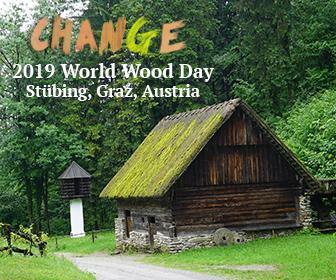 The wooden houses are constructed with local woods such as pine, oak, and beech, and in each of the houses there are traditional wooden objects that faithfully demonstrate how people live with wooden tools back in time. There are also staff members demonstrating wood turning, crafts, and wooden furniture production. Previously a carpenter, Mr. Ojārs Narvils now has turned himself into a rabbit-lover and has built the whole Rabbit Town because of love revenge. This small wooden rabbit town started with Mr. Narvil’s unsuccessful love story and it suddenly dawned on him that rabbits are actually easier to handle with than women. He said rabbits return your love by giving you the warmth and staying with you. Now he only uses those skills of carpentry to do nothing else but build more wooden rabbit houses. Each house has its own characters for rabbits whose temperament suits the house. The whole rabbit town is actually a typical Latvian town in miniature. Latvia does not have any mountains, but yet is covered by forests for about 60% of land. In Gauja National Park, people can operate their own land and run the business in relation to nature. The Archaeological Museum where the buried houses of 9th -10th Century were revealed represents the life of then, including tools, weapons and daily objects, up to medieval time. While in Latvia, one thing you cannot miss out is that refresh your energy in a traditional Latvian Bath house which usually lies on the imaginary ley line full of spiritual power. Having a land mostly covered with forest urges people to learn to respect the nature, and the Educational programme is committing to this very concept and brings it to the global level. A young renovator, Mateusz Niwiński, devotes himself to his favourite job, renovating old wooden house. He has showed us the houses he renovated and his own workshop, and briefed us the current circumstance of the wooden house renovation in Poland. Due to the particular history of Poland, wooden houses in Poland were mostly built up after World War II and many shabby houses are inhabited by the Jews. In Otwock, wooden houses scatter over the whole town. Many of them need proper renovations to sustain for a longer time, but some are even illegally occupied without being claimed by anyone. Being one of the UNESCO heritage sites, St Michael the Archangel Church in Dębno was a Gothic church built of larch wood in the 15th century. It’s still in use at present for the locals and tourists. On Sundays, the church is always packed with faithful disciples for the Sunday service and curious tourists waiting for going inside the church, opened only 10 minutes for tourists each weekend, to witness the well-preserved interior fittings and paintings. The maintenance is down to the priest who is not just the ‘tour guide’ of this historical church, but also works as a guardian of this small village and surrounding area. Čičmany, one of the most famous living villages in Slovakia, has the least information distributed on the internet. Having been a mysterious village to the world outside Slovakia, Čičmany needs to gain more recognition from the public to publicize the characteristics of the lime painted wooden houses. Painting lime on the wall is not just for decoration, but also to prevent the wood from cracking up with the result that these residents then start painting patterns to beautify the house. Northeast to Čičmany lies the wooden Bethlehem in Rajecká Lesná made by an enthusiastic carpenter who devoted his life on this project which was unfinished by the time he passed away. A priest afterwards was then by his passion and continued to accomplish the carpenter’s dream. Spreading over the meadows at the bottom of the Western Tatras, Orava Village signals a good location for an open-air museum. Orava village museum is aiming to represent the exterior settings of settlements and the living environment of these villages of the 12th to 13th Century, and brings the visitors closer to the wooden structure and furniture with which the life of village people are connected. Scattering as a real village setting in Orava, the Latin school, the market, cattle place, fire alarm bell and the surrounding settings of the whole village compose the image of a mountainous village of the old time and offer the pleasant atmosphere for visitors to experience the country life. Old Rauma is the largest Nordic wooden town with over 600 well-preserved wooden architectures from the 18th -19th century, and most of which are privately owned. It is valued for its vernacular architectural heritage, and these houses, workshops and shops are still in use today. Back in the old days, almost every household had lace-makers making bobbin lace, a technique believed to have been brought by sailors in the 18th century. Although, lacemaking had once brought wealth into the city of Rauma, it is now a declined industry and a cultural heritage practiced and preserved by local people. When making bobbin lace, lace makers need a lace pillow with pin set and wind threads on wooden bobbins, to determine the lace pattern according to the placement of wooden bobbin and pin. The City Renovation Center exhibits tools and materials used for constructing and preserving Rauma wooden houses, and photos documenting the preservation history of these traditional buildings, are valuable and worth visiting. The center is a place where people can acquire techniques, and obtain knowledge of conserving and renovating the traditional Finnish wooden architecture. In 1997, Eksjo was awarded the Europa Nostra Diploma for its remarkable renovation of the traditional buildings gives a new life to the old town. Today, Eksjo has become one of the best-preserved timber-built towns in Sweden. The city of Eksjo has burned down twice throughout its history. In 1568, the town was burn down during the First Northern War, and subsequently rebuilt in a different place that was easier to defend. In 1856, Eksjo burned down for the second time, and the fire had destroyed all of the southern part. In the 1860s, the area was re-planned and re-built, and the fire-protection system was taken into account at this time; therefore, most of the traditional buildings we have seen today are from the 17th - 18th century. In order to protect wooden houses against fire, Eksjo has several fire-protection measures, for example, using fire-resistant glass windows, and sealing the not-in-use gate, door or window to prevent wind-driven fire from spreading; and installing water sprinkler system on the roof of houses to extinguish or suppress fire, etc... In addition, the old town has efficient alarm system where, when the fire occurs, firefighters will arrive within 5 minutes to put out the fire. Located at Heddal in Notodden municipality, Norway, Heddal Stave Church (Norwegian: Heiterdals kircke) was constructed in the early 13th century. It is the largest among the 28 stave churches remained in Norway today. Stave church is a medieval wooden church of traditional Nordic style. Heddal stave church is a timber-built church with three small turrets. The church contains numerous symbols of old Christian and heathen traditions. The holy cross on the turrets is the symbol of Christianity, whereas the dragon heads at the gable ends represent the old heathen motifs rooted in Celtic and Germanic sources. Laténium Museum is an archaeology museum located in Hauterive, suburb of Neuchâtel. Its name is a combination of “La Tène”, the name of archaeological site of the Celtic civilization back in the late Iron Age, and the word “museum.” Inaugurated in 2001, the museum has rich archaeological collections of Celtic artifacts, and those from both older and more recent periods as well. Laténium Museum has a collection of 3000 objects, including a 20-meter long Roman wooden ship discovered in Bevaix. Apart from indoor exhibition, there is another open-air area within the museum park. The dwellings of the lake villagers could be dated back to 1,000 BC, and the museum has reconstructed several architectures in order to demonstrate the history to the visitors. Bönigen is a small village in the canton Bern, which is located in the central Switzerland. This small village has an area of 15.12 square kilometers, where steep mountains surround a large part of the area. The village of Bönigen is famous for its unique decorated wooden houses. Radiating from fountain square, which is the former town center, numerous frescoed houses are scattered within the old town area. Dating from 1549 onwards, these buildings functioned as either dwelling for people or storehouse for cheese. Many of these wooden dwellings had expanded to house the enlarged family. The original structure and the expanded parts of the house could be differentiated according to the doorway or color of paint. These well-preserved wooden houses in Bönigen are decorated with colorful patterns and images, plus biblical quotes in Gothic and Roman letters that inscribed on the exterior wall of the building. Visitors could easily perceive and understand the value of these cultural legacies. Schwyz is the capital of canton Schwyz, which is located in the central Switzerland. It has an area of 53.3 square kilometers and a population of 14,331. German is the main spoken language within the region. People in Schwyz still preserve many traditional ways of wood use, and musical instrument is one of the examples. Büchel, also known as Alphorn’s brother, looks like a trumpet but has brighter tone, is a handmade instrument mostly made of fine spruce. Chlefeli is another traditional wooden instrument, which is only played during Lent, is a clapping instrument that could only be found in the area of Schwyz. Apart from instruments, other noteworthy crafts such as armbrust and sledge are also traditional woodcrafts that are still manufactured within the region. In addition to handicrafts, there are a lot of wooden houses that have stood for centuries in Schwyz, and the oldest among these is the House of Bethlehem. Built in 1287, the house is well preserved and opened to the public as a museum today. The foundation of Venice was constructed on vertical wooden piles, which has mostly remained intact after centuries of submersion. The piles penetrated through layers of soft sand and mud until they reached a harder clay ground. In fact, apart from the footing of the city, several buildings in Venice are also either built of wood or decorated with wood, such as Doge’s Palace in the Piazza San Marco, the well-known St Mark’s Square. Quite a few chambers in Doge’s Palace including one of the most gorgeous rooms, the Council Chamber, are decorated with elaborated paintings and carvings on wooden ceilings. The roof of the Palace is also made of strong wooden structure; we were fortunate to be able to get up to the loft and see the structure under the guidance of a local architect. Lello Book shop is located in Porto. It was inaugurated on January 13, 1906, and designed by a noted engineer of the time, Xavier Esteves. The Lello Bookshop is housed in a white architecture with art nouveaux facade; its distinguished outlook stands out from the rest of the other historical buildings on the street. When stepping inside the bookshop, you will immediately feel a welcoming and cozy atmosphere, and be amazed by the full wall height bookshelves, and the high ceiling which created an expanded view. Other magnificent wooden interior decoration, such as carved wooden spiral staircase, fine carving of famous local writers on the column, and intricate woodcarving ceiling are just as impressive. This beautiful bookshop is now one of the attractions in Porto. It has been selected as the third best bookshop in the world by the well-known travel guidebook, the Lonely Planet. The ASTRA Museum of Folk and Civilization, one of the ASTRA National Museum Complex, is recognised as the largest permanent open air ethnographic exhibition in Europe. The chief director of National Museum Complex, Valeriu Ion Olaru, kindly showed us the distinctive wooden architecture within the open air museum and allowed us to go into buildings to explore its interesting stories and facts. Apart from the museum, Mr. Olaru guided us into the largest restoration institute, situated next to the open-air museum, to show the scientific way of restoration and preservation of various types of material, including wood, metal, fabric, etc. National Village Museum, located in the Herastrau Park, north of Bucharest, was created by Dimitrie Gusti, Victor Ion Popa, and Henri H. Stahl in 1936. From 33 units of authentic wooden constructions on the first phase of building up the Village Museum to the present 272 units, village museum has strived to preserve the traditional farms and houses from all over Romania. The homesteads including living houses, barns and stables from different area of Romania that are all displayed in this museum represent the various lives across Romania, from farmer life, poor peasant life, rich peasant life to merchant life. Various houses in people’s daily life such as public houses (pubs), churches, mills and even playgrounds are in the range of wooden representation. Tam-Awan Village is located in Pinsao Proper, Baguio City, and it is famous for reconstructions of traditional wooden houses that recreate scenery of the native village in the area. Tam-awan now has seven Ifugao huts and two Kalinga houses. 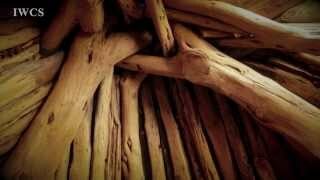 The Ifugao hut is compact and relatively simple, and usually made of hard wood. The Kalinga house, on the other hand, is more spacious and is made of pinewood. All of these huts and houses are built by using mortise and tenon joint without a single nail. Apart from wooden houses, Tam-awan village is also a venue for art exhibitions and workshops, with the aim to draw more people’s attention to the traditional culture and offer a platform for artists to perform their art. Penang, located on the northwest coast of Peninsula Malaysia by the Strait of Malacca, is the second smallest Malaysian state and the eighth most populous. Penang is composed of two parts – Penang Island, where the governmentis, and Seberang Perai on the Malay Peninsula. George Town is the busiest and largest city in Penang. The inner city of George Town is a UNESCO World Heritage Site and there are numerous century-old wooden houses standing by the street. Grand Chinese clan buildings and kongsi with magnificent structure and exquisite wooden carvings scatter in the city and tell of prosperity and the history of the immigrants. The island of Langkawi, also named as the Jewel of Kedah, is located some 30 km off the mainland coast of northwestern Malaysia. It has been a popular tourist spot for its natural pristine beauty. With a population of about 64, 792, the island has a rich culture of wood and timber use is embedded in the life of the residents. For example,the Temple Tree/ Bon Ton Resort has a collection of ancient houses from allparts of Malaysia that display the unique wooden constructions of each regionand culture. There are also traditional Malay wooden houses scattering on the countryside. Among them, we visited a large, luxurious private residence,which is a blend of tradition and modern construction. We traveled to the suburb of Kuala Lumpur where we have visited National University of Malaysia and Seri Menanti. These visits allow us to understand better the uniqueness of traditional Malay houses. National University of Malaysia is 30 km away from KL downtown, there is another delicately carved traditional Malay house, which used to be owned by an aristocrat back in the early 1900s. The structure of the house is well kept now for research purpose. Seri Menanti is about 100 km away from the southeast of KL downtown,. It is the royal capital of the state of Negeri Sembilam. One of the landmarks within the small town is Istana Lama Seri Menanti, a 4-story wooden old palace, which was constructed without a single nail. Kuala Lumpur is the federal capital city of Malaysia and located in Peninsular Malaysia. The city covers an area of 243 square kilometres (94 sq mi) and has an estimated population of 1.6 million. It is the cultural, financial and economic center of Malaysia. We visited Rumah Penghulu Abu Seman, a preserved traditional Malay house, and an exhibition on wooden arches in the National Museum of Malaysia. In addition to these, the Forest Research Institute Malaysia (FRIM), a governmental organization in forest management and sustainable development is also one of the remarkable places we have visited within downtown Kuala Lumpur. Songjianghe Town is at the southeast of Fusong County. The area has rich natural resources with 89.2% of forest coverage and 17,000 hectares of forest. Here, lumber storage can reach up to 3.7 million cubic meters. Songjianghe Town is only 41 kilometers away from Heaven Lake; hence, it is called the “First Town at the Foot of Changbai Mountain”. Songjianghe Town has convenient transportation, which provides good condition for developing tourism. Ginseng and pine nuts are two specialties in this area. The folk tale of Laobatou – the ancestor of gathering ginseng - is prevailing in the area that people even build a temple to worship him. Gudingzi village (now renamed as JinJiang village) is located in the Fusong County, is famous for its wooden constructions. It has a history of 400 years and there are 44 households left in the village. Here, Manchu is the main ethnicity. Due to its high altitude of 900 meters, there is only little agricultural development in the village. Therefore, the villagers mostly rely on gathering and exchanging vegetable, medicine and pine nuts from woods for money and food. The harmony way of living with the nature has captured the attention nationwide, so does the wooden houses. Gudingzi village is now preserved as the last wooden house village at Changbai Mountain. Manyangguang Forestry mostly lived by Dai people now, who use Dai language still. Dai language is 80 percent similar to Thai language in Thailand. Some Manyangguang schools teach bilingual languages (Dai language, Mandarin). To the overall village, there are no much differences from a decade ago to now, but the original wood tiles have been replaced by modern cement. Traditional Dai houses - so called Ganlan-style Architecture (Stilt-style Architecture), which often kept animal on the ground floor, and people live above. The usually use selected wood to build the Ganlan- style Architecture, because selected wood can prevent termites from decay the wooden column. Dai people also know that chicken eats termites, so they raise chicken too. In addition, they raising buffalo and pigs, so that mosquitoes will attack livestock rather than human being, deducting the chance people getting malaria.